(*) In reality this Colonel never said that publicly. It is only a claim by the infamous “Dr. Wolf” who said this Colonel told him that privately. It has been known for sometime now by “Black World” technologists that the key to controlling gravity is Element 115 on the Periodic Table – Ununpentium. The most important attribute of this heavier, stable element is that the gravity A wave is so abundant that it actually extends past the perimeter of the atom. These heavier, stable elements literally have allegedly their own gravity A field around them, in addition to the gravity B field that is native to all matter. By controlling the gravity A wave, you can control gravity. By fuelling an aircraft reactor with ununpentium, you have an aircraft capable of using anti-gravity propulsion. However, it is highly inappropriate to discuss the unit cost for the B-2 because of the small number built. It is reasonable to debate on the unit costs of the F-104 (2536 built), of the F-16 (3779 built), for example, but for the B-2 there are only 21 built, and it simply does not make any sense to argue that the B-2 has “something more” to it because of this unit cost. Actually, it has “something less:” the number of B-2 actually built; this implies that the equipment, infrastructures, logistics, training material etc generate unusually high costs per unit. Also very expensive: the maintenance of its radar waves absorbing surface, and all the costs of its updates. In no case I do not support that a propulsion system acting directly by canceling the force of gravitation could not exist, or would be “forbidden by the laws of physics.” I submit that it is plain silly to imagine that it cannot exist simply because we have not yet carried out yet such aeronautical prowess in the mere 80 years of aeronautic development we have. Also presumptuous and contradicted by the history of human inventions is the idea that our incapacity at one time to reach out a certain goal has anything to do with “laws of physics” which would be established once and for all, immutable and final. The laws of physics are certainly immutable, but we have certainly not a complete knowledge of them, and nobody should be naive enough as to think we have now listed and understood everything there is to understand. have worked in a secret place on a recovered flying saucer. These explanations did not stand very well a close scrutiny by UFO researchers, and the least which one can say is that the story of Bob Lazar is far from having convinced the researchers who investigated on it. It is not sufficient to say that element 115 is the secret of antigravitation; it is also not sufficient to say that this is “known since a certain time” by “technicians of the Black world.” Such vague statements hardly have any value. 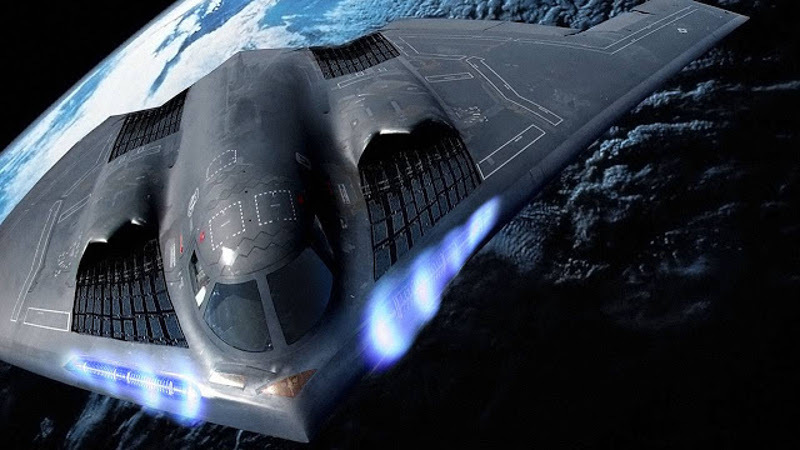 There seems to be no evidence at all, not even eyewitness testimony of the alleged B-2 gravity control.